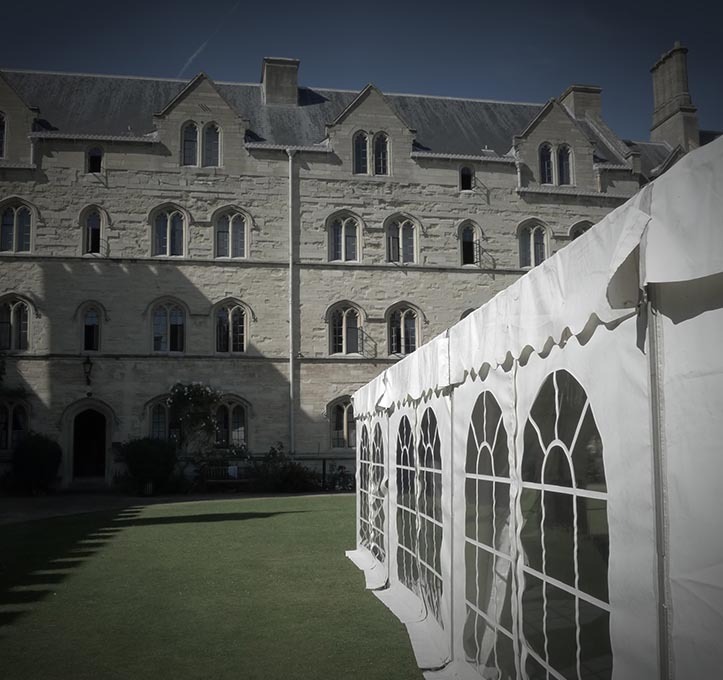 With years of experience of working in and around Oxford College & University grounds our streamlined delivery, installation & removal process is second to none. 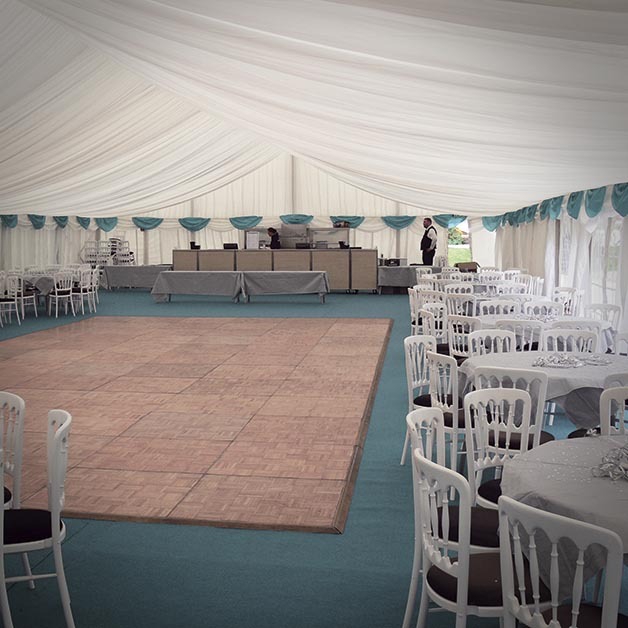 Our wide range of marquee styles and sizes means we are confident that we will have your event covered, even in the remotest and difficult to access quads. Our service will start with a site visit to accurately measure the site, assess the access & check for hidden underground pipes & cables. After discussing your needs in full, the type of event and the time of year, we will supply a quotation (valid for 30 days) and a 2D/3D computer generated layout to show you how the structure could look. To reserve the equipment we require a 20% deposit, this secures your order and we then move into the planning stage when delivery & collection dates are booked in. Our team are only at the end of the phone waiting to help and advise you throughout the lead up to your event, they will offer their expertise in areas such as power distribution, feature lighting and any special personalised decoration items you may wish to display within the marquee. It is our aim to offer you the highest possible level of customer service and care to help your event to run efficiently & smoothly.